Laura Bin’s debut design as a duo is a fine specimen. 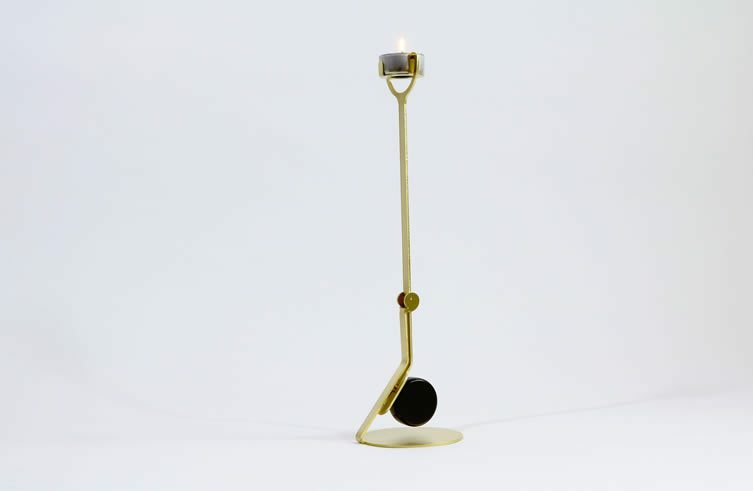 The Rising Balance candleholder — consisting of three brass components — inspires the dynamic between earth and fire. The pieces are cut into shape by water, sanded, polished and folded by hand, whilst the circular stone (which follows the movement downwards as your tea light burns and becomes lighter) is made of the volcanic rock basalt; all elements singing in equilibrium. 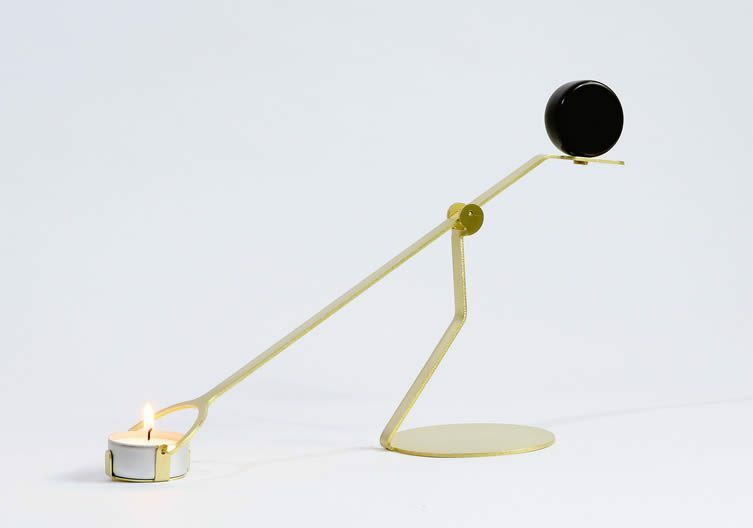 The candleholder is the brainchild of Amsterdam-based Laura Klinkenberg and Bin Xu — who have combined forces to develop the label Laura Bin — who are hoping the popularity of Rising Balance will allow them to go forth and design further accessible function-based products that embrace form and interaction. 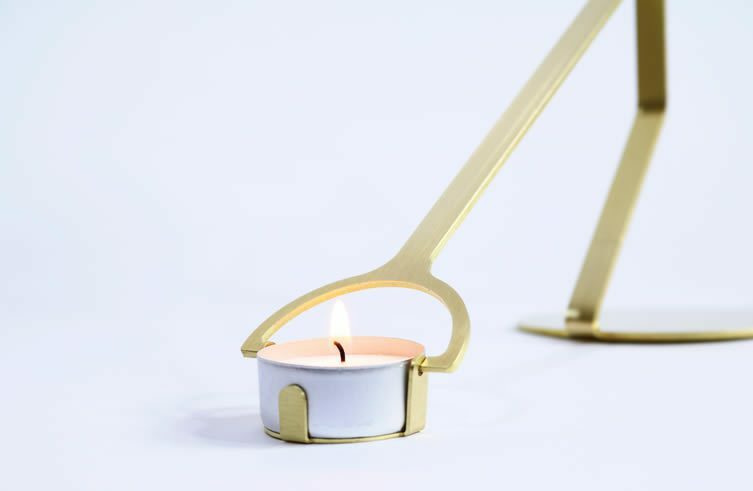 The candleholder is available through designer marketplace CROWDYHOUSE.